The Residential Market in Atlanta is HOT! This is evidenced by the rapid quantity of homes that are flying off the market in a matter of days, providing they are in proper condition and priced correctly. A Seller’s Market occurs when the number of properties available for sale divided by average monthly sales to calculate how long it would take to sell the current inventory if no other properties were listed – when that number equals 6 months or less, a Seller’s Market exists. Our metro Atlanta market became a Seller’s Market during 2012 resulting in several changes benefitting sellers, as illustrated here using the peak of the Buyer’s Market compared to where we were in 4Q 2016. Increasing sales combined with a low inventory of listings maintained the “Seller‘s Market” condition which began during 2012. Atlanta is fortunately experiencing a Seller’s Market with too few listings on the market. Great condition and correctly pricing a property will result in a quick sale. As always, it is a story of supply versus demand. The true story is that you cannot underprice a house in this market. When a house is priced too high (out of the market), it gets no traffic and no offers, and becomes stale sitting on the market. On the other hand, when a property is priced below the market, it experiences multiple offers and this will bring the value up to the market. 25% of sales in the Metro Atlanta Market are above list price. 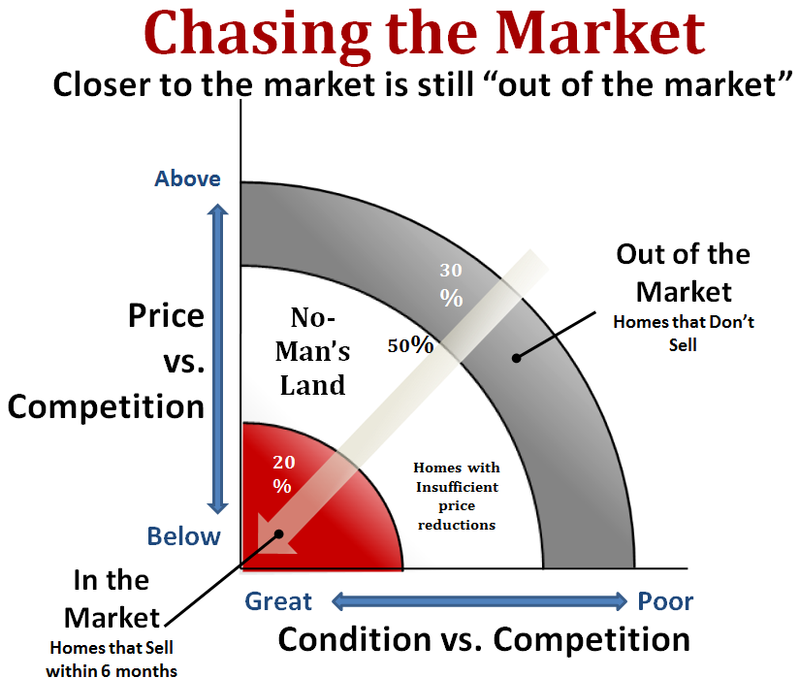 In other words, you can chase the market by overpricing a property and letting it stay on the market forever, or, you can be in the market, and have it last on the market a matter of days. 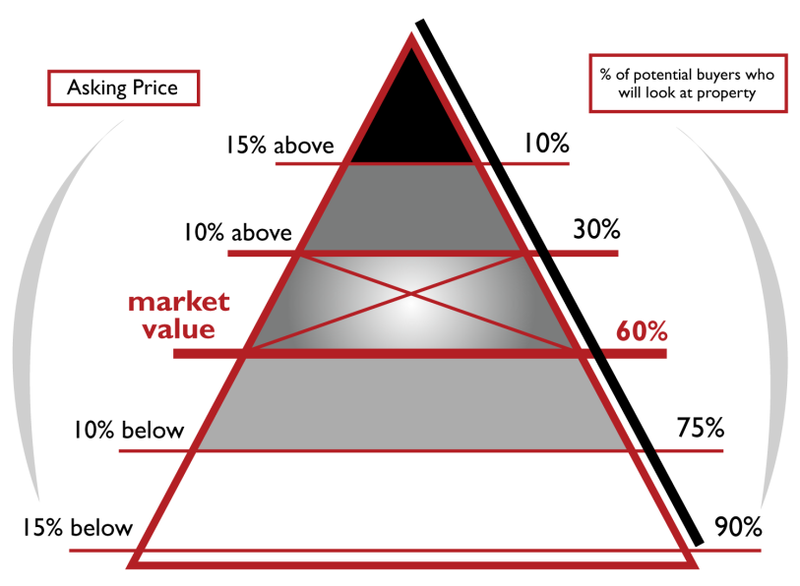 The Pricing Pyramid -Pricing will determine the percentage of buyers who will visit a newly listed property. Pricing just 10% above fair market value means that 70% of the buyers who might likely buy your house most likely will never see it. A lot of wonderful homes are missed this way. The first 30 days a property is on the market is the most crucial because it has the greatest interest. 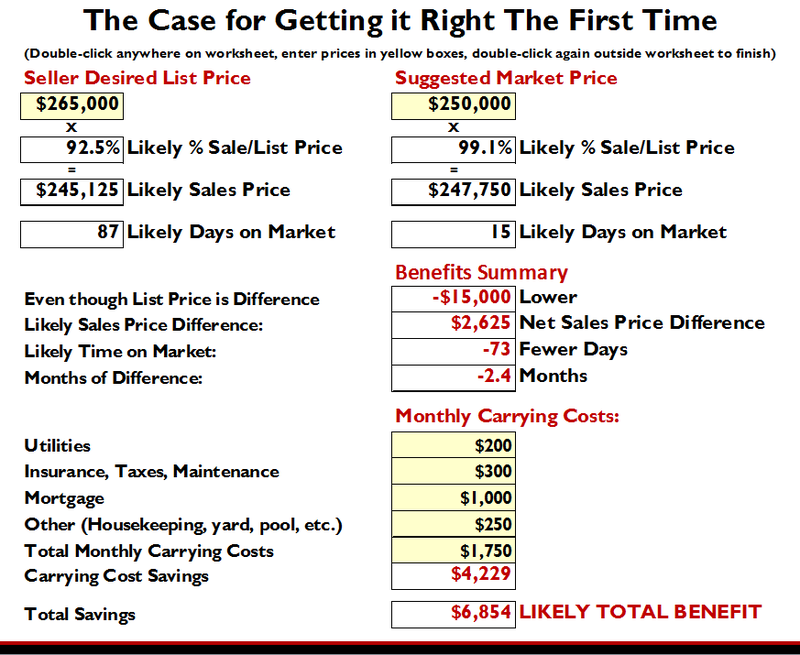 Pricing and condition determines how quick it sells. In 2016 single-family detached property sales peaked in the 1st week after listing, then declined sharply after that. The reality is that the number of sales during the 1st month a property is on the market is highest and declines each month after that. 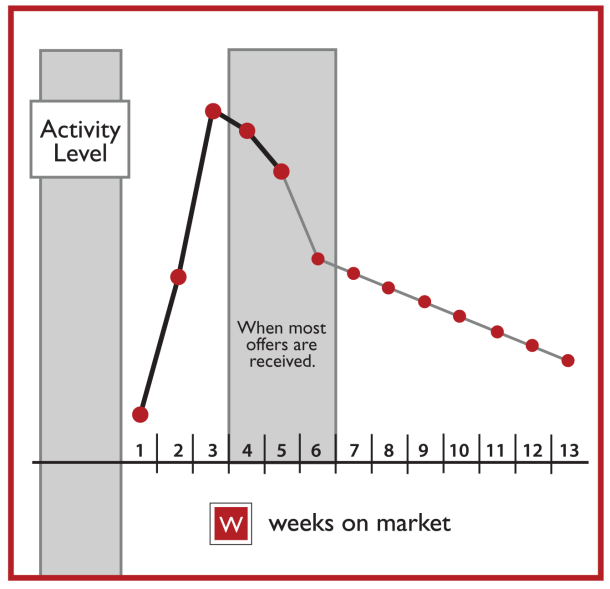 The best offers come in the 1st weeks a listing is active. 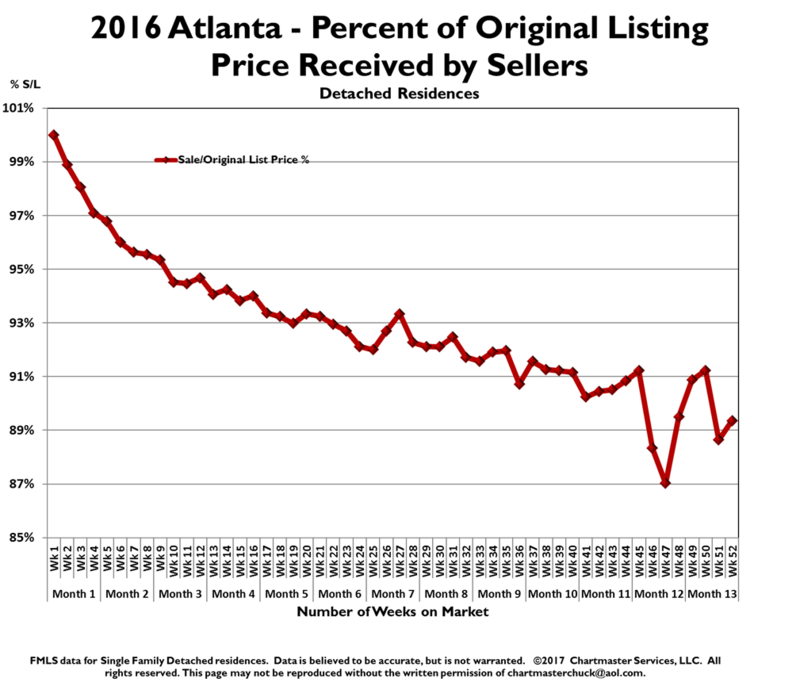 The sales to list price percentage decline steadily in weeks after a listing becomes active. 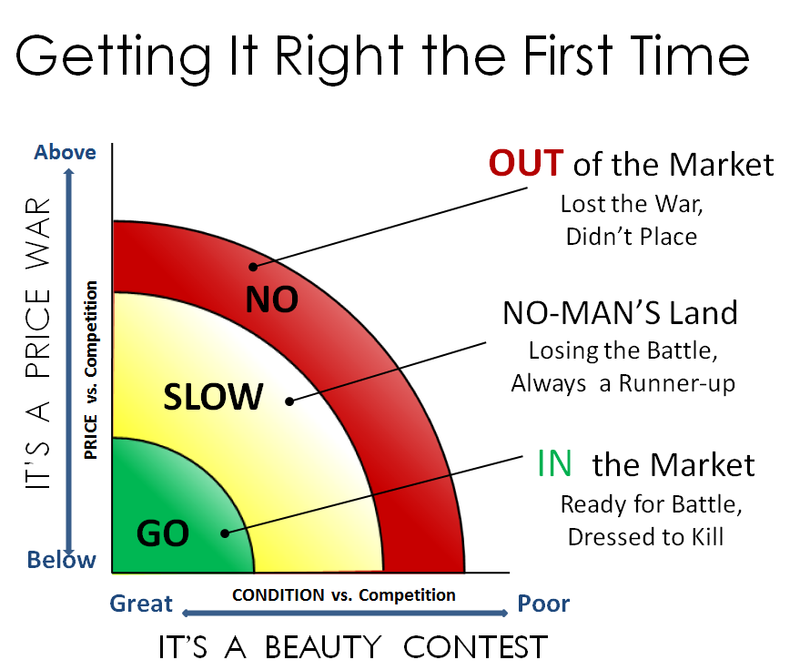 That is why it’s crucial to nail the price at the beginning of a listing. 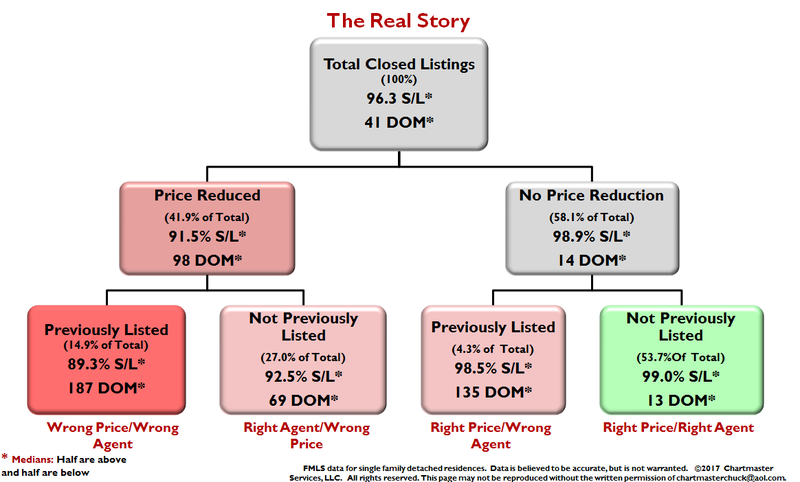 The chart below shows the true reality of pricing in Atlanta and how the sales to list price declines over the amount of months that the property is on the market. In other words, initial overpricing results in a lower price, much longer time on the market, and the carrying costs can eat into your profits as well. Why is overpricing in the 1st 30 days, not in a seller’s best interest? Fewer Buyers- Let’s face it, price attracts Buyers. Pricing just 10% over market value means 70% of the potential buyers will never even see it. Loss of Agent Interest- An agent CMA (competitive market analysis which is done using MLS listings and solds as well as tax records) cannot justify the price for their buyer. Additional Listing Periods- additional listing periods require a start over of the marketing process to re-introduce your house to the market. 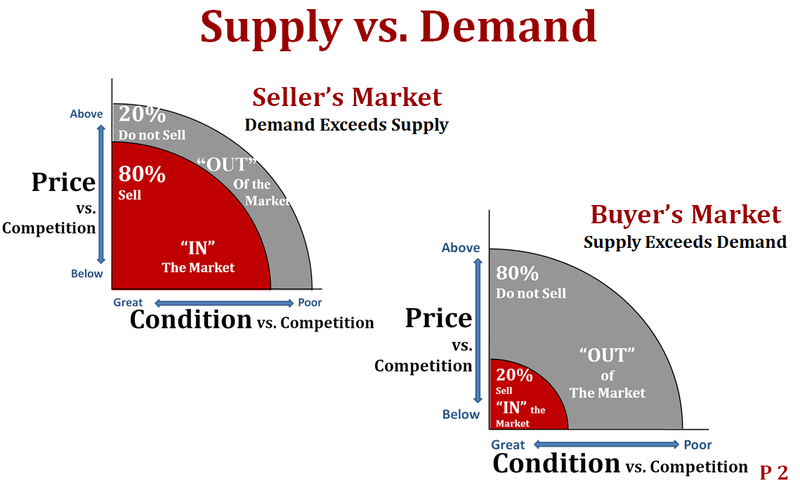 Let’s look at the sales price vs. supply. 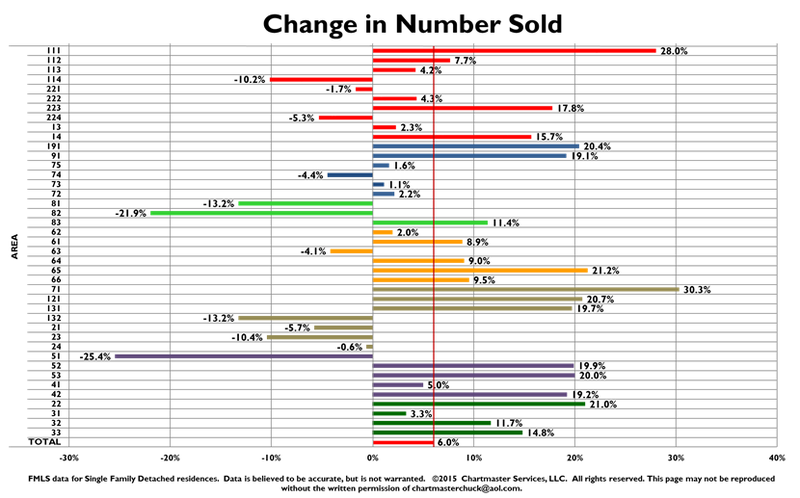 One of the most dramatic displays of the effect of the Seller’s Market has been on the median sales price. 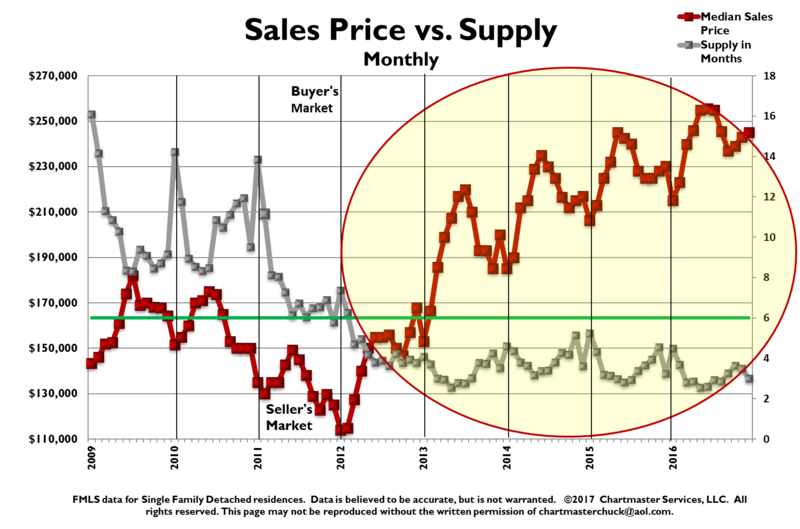 As seen here when the supply fell below the 6 months of inventory in 1st quarter of 2012, the median sales price rose sharply compared to the previous 3 years. Seasonal fluctuations still occur in the Atlanta market. What is the real story? Many times listed properties will have expired or have been withdrawn one or more times prior to the listing period in which they sold. Including the original listing prices and cumulative days on market from those previous listing periods, results in a more realistic set of measurements. We call this chart the American Idol Chart. Let’s put this all together! In Atlanta, for every hundred finalized listing sales in the 4th quarter 2016, 34 properties failed to sell and 66 sold. 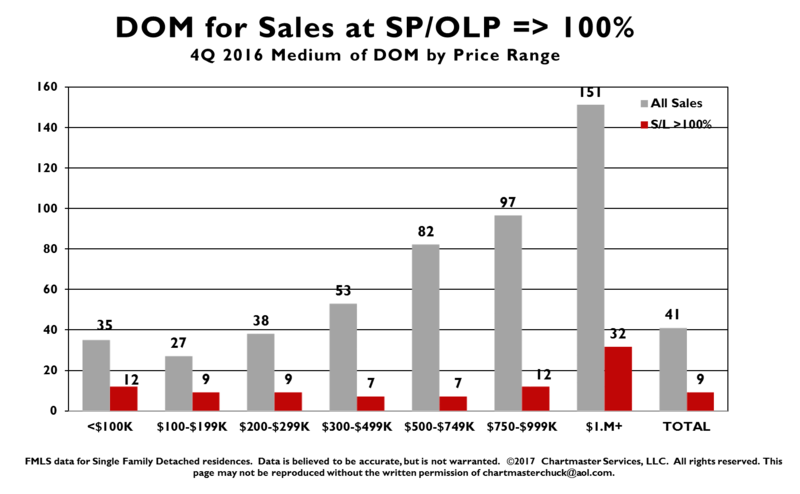 Of the 66 listings which sold, 28 properties or 42% required a price reduction when including the original listing prices for the previous listing periods in order to sell. 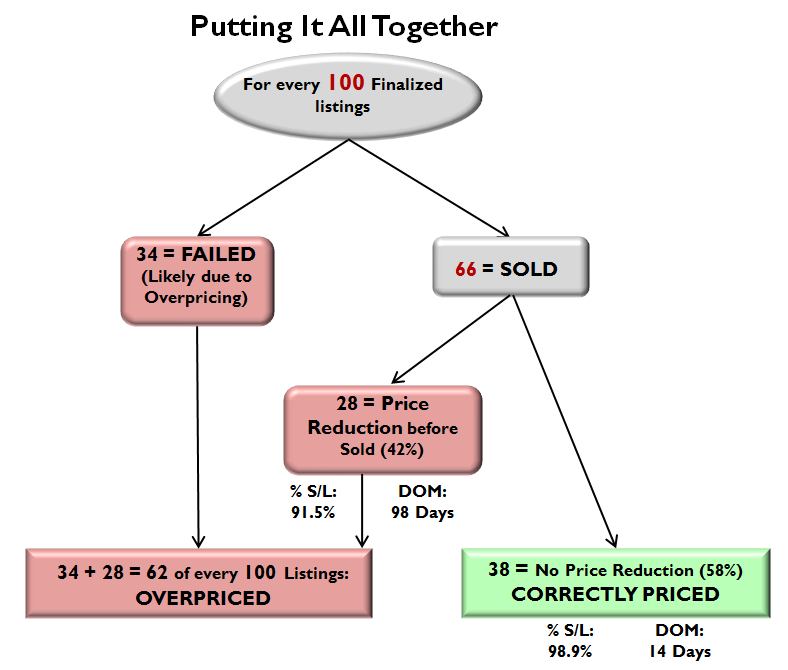 Therefore, if 34 failed to sell due to overpricing and another 28 required a price reduction in order to sell, 62 out of every 100 finalized listings were at least initially overpriced in 4Q 2016, resulting in either no sale, or a sale at a much-reduced price after a much-longer listing period. Naturally, we all want to get the most possible for the property. 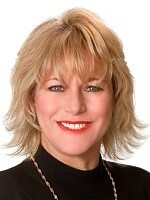 As the agent, it is my job to get you, the seller, the most for your property. Concerning price, the best thing to do is to get the price right the 1st time. Fortunately for us, Keller Williams, the Rawls Group, the Atlanta market has been broken down by price range and by areas of Atlanta in a chart manner so that we can accurately price properties for our clients and determine the number of days on market. The chart below is an active spread sheet. See example below. 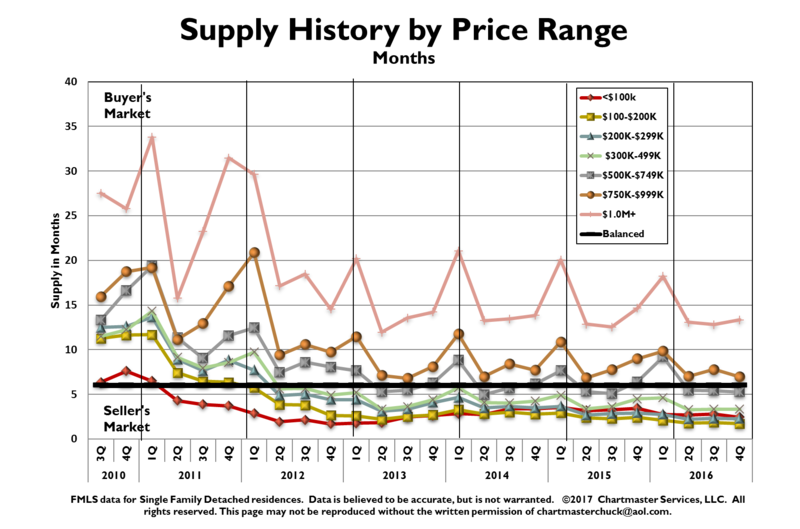 Price Reduction Effect on Median Sales Price. 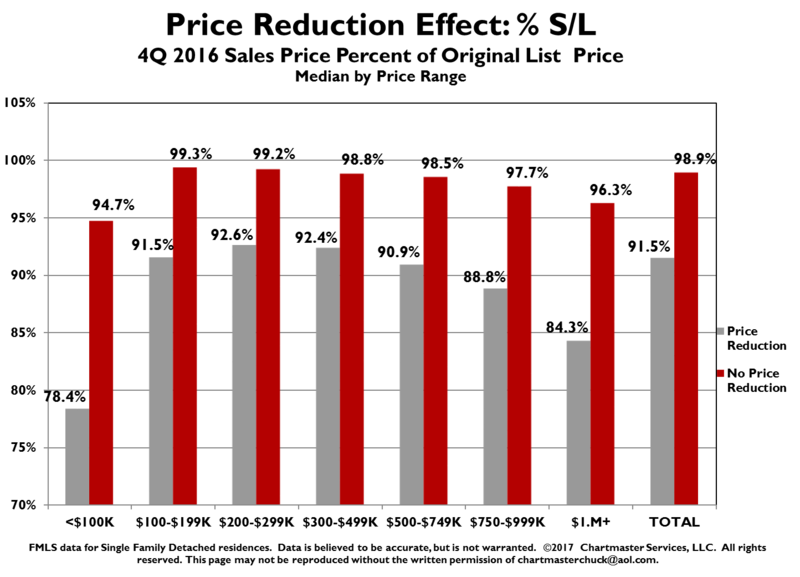 When a price reduction was required, the median of Sales to Listing Price (S/L) ratios dropped by -7.4 percentage points overall and reductions occurred in all price ranges in 4Q 2016, with large differences in degree among the various price ranges. For example, the ratio for a price-reduced property dropped a very large -16.3 percentage points, below that of a non-price reduced property, in the <$100K range, while in the $300K-$499K range the difference was -6.4 percentage points. Price Reduction Effect on Days On Market. Higher-priced properties normally take longer to sell, but when a price reduction was necessary in 4Q 2016, the differences were much greater in all price ranges. 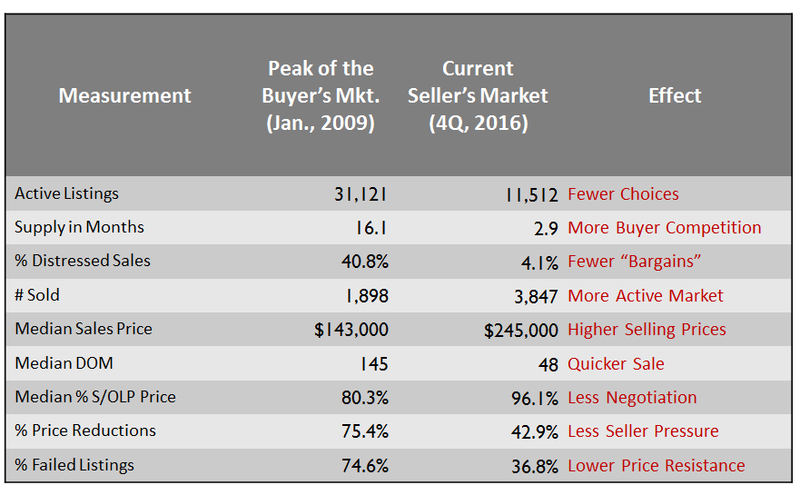 Sellers across these price ranges needed +7.0 times (+2.8 months) longer to sell when a price reduction was required. Conversely, sellers pricing their property correctly for the current market, were able to sell in a very short time period – a median of 14 days across all price ranges. 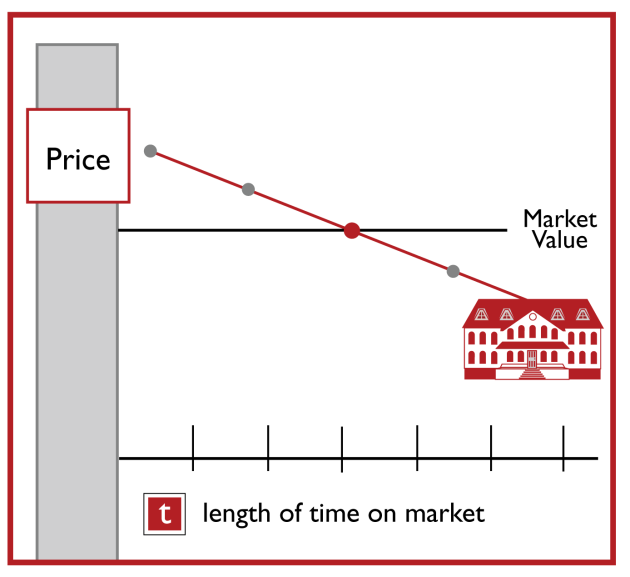 Sellers pricing correctly for the market not only receive a high portion of their Original Listing Price, they also sell at greatly reduced time on market resulting in substantial savings in carrying costs. Median Days on Market By Price Range All but 2 of these seven price ranges had decreases in the median of DOM during 4Q 2016 compared to last year, with very low DOM in ranges between $100K-$300K. Increases were shown in two higher price ranges, possibly due to higher listing prices this year. Let’s look at the supply history by price range. 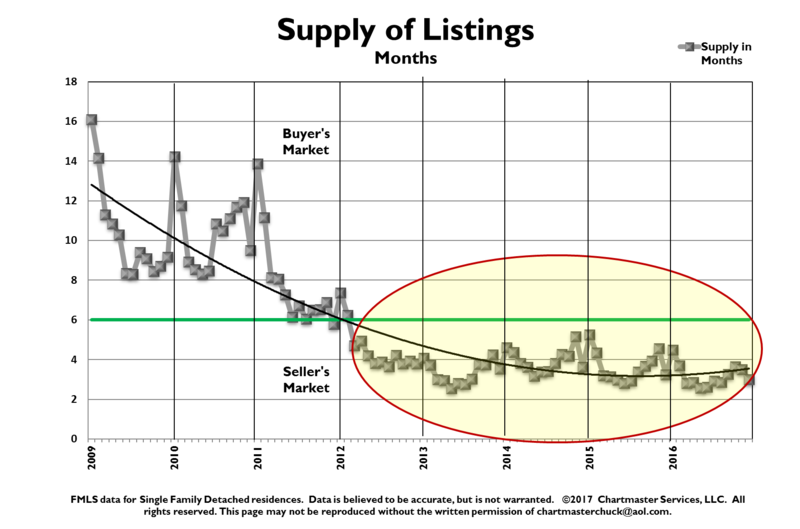 The chart below shows that the low supply of housing inventory does not carry through all price ranges. The solid black line indicates the balance market of 6 months. The market below $499,000 is currently a Seller’s Market, while the market from $500,000 to $749,000 is a balanced market as evidenced in this chart. The market over $750,000 has become a Buyer’s Market, with the exception of certain areas of Atlanta. Summary – Greed can cost you in real dollars. Go see the competition . Make sure the pictures online are great as the public is shopping there first. Price correctly in the beginning to get the highest price in the end. North Fulton which includes Alpharetta, Roswell, Milton and Johns Creek. Atlanta, Georgia is one of the strongest real estate markets in the US and has favored Sellers rather than Buyers since spring of 2013. According to Realtor.com, the median list price in Atlanta has gone from just over $200,000 in 2014 to over $300,000 in 2016 and is currently leveling off. A $100,000 median price gain in two years is nothing short of fantastic. The luxury home market in metro Atlanta’s premiere locations is experiencing a “softening” and “slower overall” market unfortunately. Luxury housing is not seeing the same flow of numbers and movement in terms of buyers and quick home sales as the rest of the residential scene. For the purposes of this article, we are talking about single family detached in these areas. 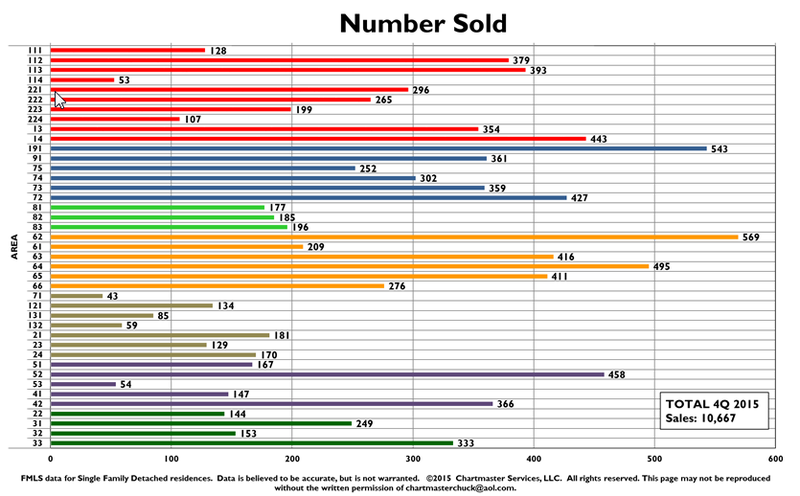 Below is a chart depicting the number sold. Sales are really rapid in Gwinnett (60- 66), and surprisingly Paulding.(191). One must take into consideration the size of the area in looking at these numbers as well. Vinings (71) is a geographically small area with very expensive houses resulting in a tiny number sold. Home prices in the metro area rose by double digits over the last couple of years, outpacing most of the nation and are finally above their 2007 high prices. Although home-prices and appreciation has leveled off to some degree, continued gains are expected in 2016. Let’s look at this growth by area. Now let’s look at the change in the number sold. 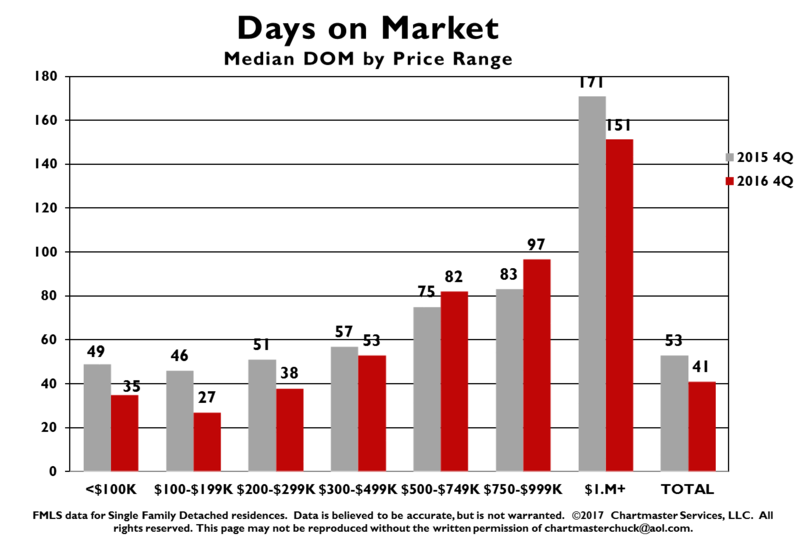 The Straight red line represent s the median. This really depicts how tight the market is. Buckhead(21), Midtown (23),Brookhaven (51) and Sandy Springs inside the perimeter (132) are pricey areas with little on the market. East Cobb (81,82) markets are narrow due to school systems being highly desirable. 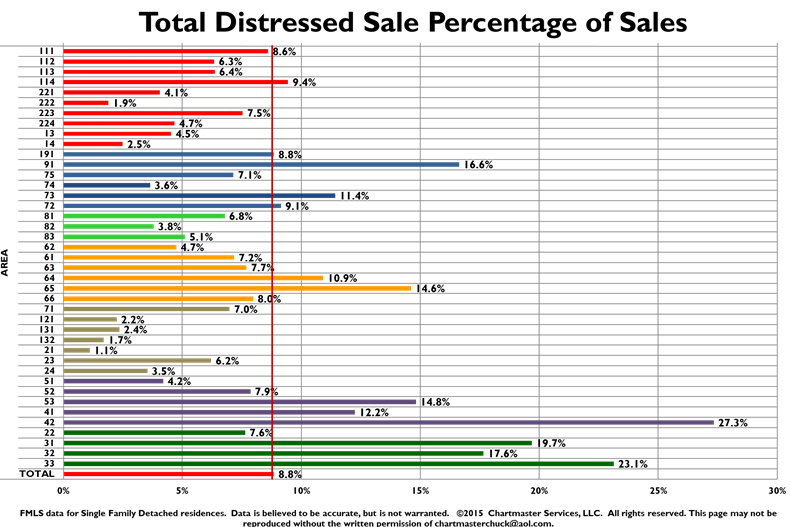 Distressed sales are a combination of foreclosures and short sales. The median for these Atlanta areas is 8.8% South Dekalb (41, 42, 52, 53), South Fulton (31,32,33) and Douglas (91) counties are plagued with distress sales the most. Ironically, the homes in these areas are typically inexpensive houses with owners living paycheck to paycheck. Now let’s discuss Median Sales Price. 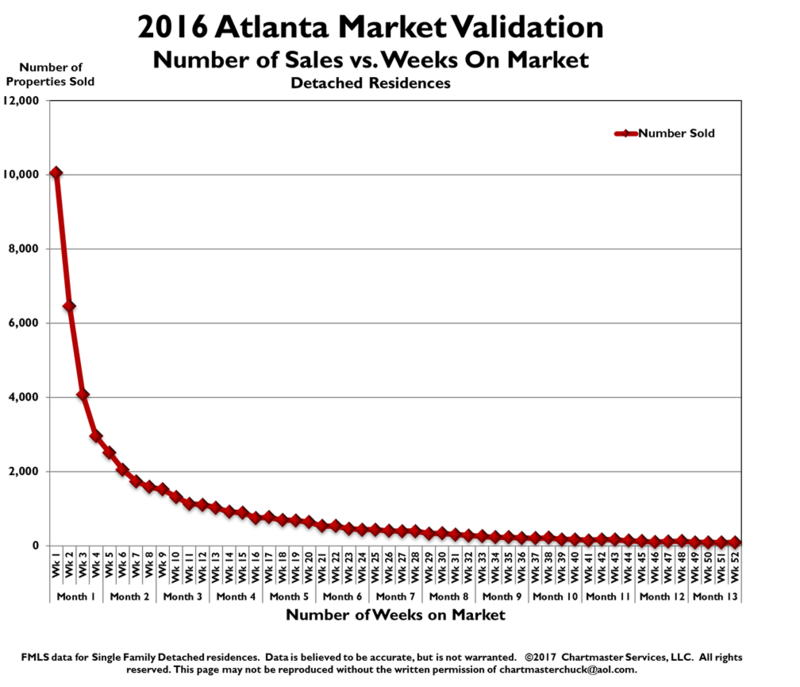 To me, this is the most valuable chart of them all. 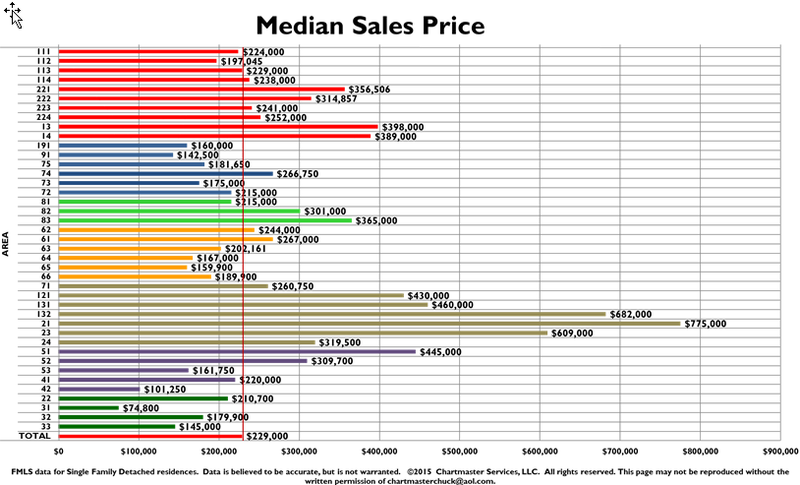 If you are a flipper, doesn’t it make sense to buy and flip below the median sales price of an area. Of course in the northern in town areas like Midtown (23), Buckhead (21) , Sandy Springs (131,132) and Dunwoody (121), the median prices are quite high. In these same areas, builders are buying houses to knock down for $350,0000 to $500,000 and more. 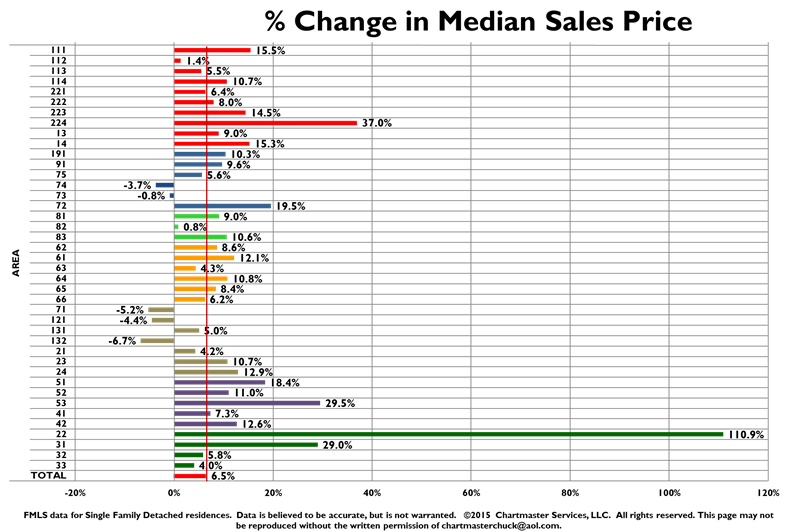 How have median sales prices changed? The median increase in Metro Atlanta over last year was 6.5%. 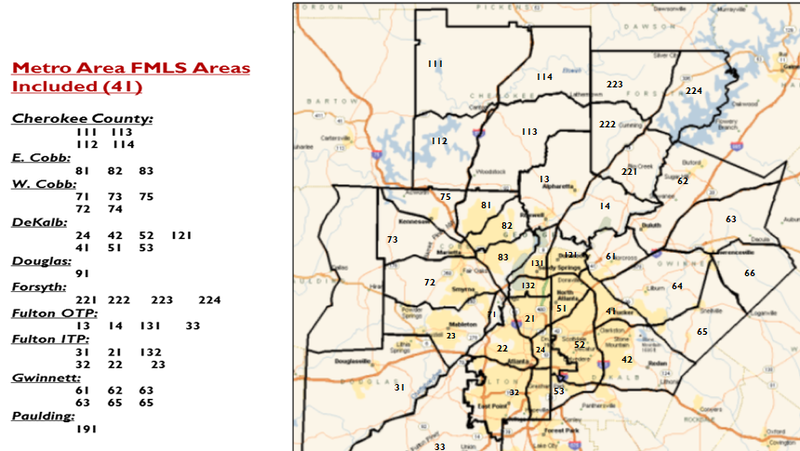 However, West Atlanta (22) is experiencing tremendous growth now because the housing is relatively inexpensive and because the area is experiencing tremendous improvement due to the construction of the Atlanta Beltway and the Bellwood Quarry will soon be Atlanta’s newest and lar largest park. A balanced market is 6 months. 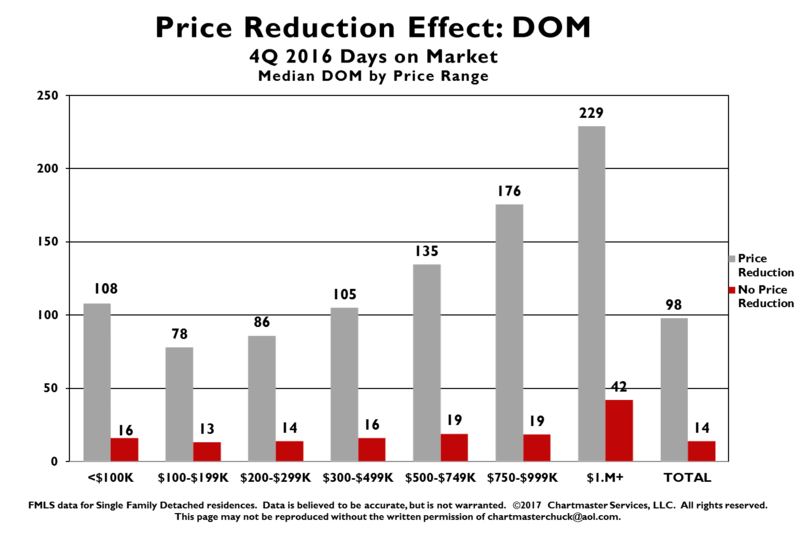 While this statistical information was for single family detached, the attached condo – townhouse market are surprisingly similar. Should you need this report, just let me know.